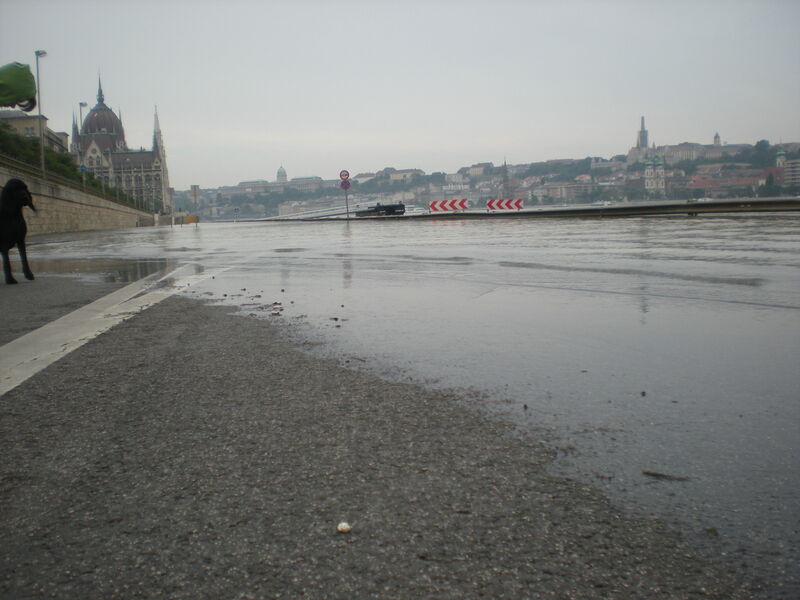 On Saturday the Danube finally spilled over the rakpart and inched its way toward the banks of Pest. 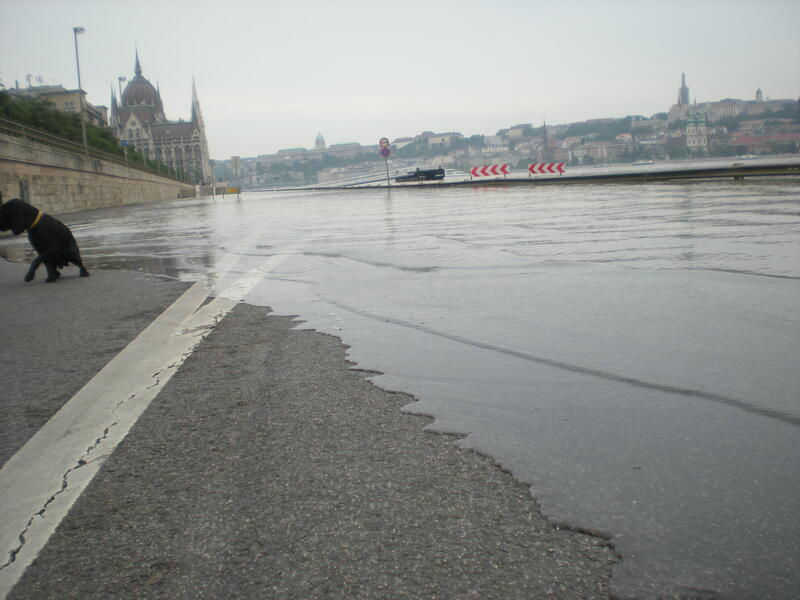 By the time we were finished running on Margit Island, the water had fully crested, and though it was still early (6 am), many people were out and armed with their cameras. The water is no where near as high as it has been in past years, but it’s still quite a sight to see. 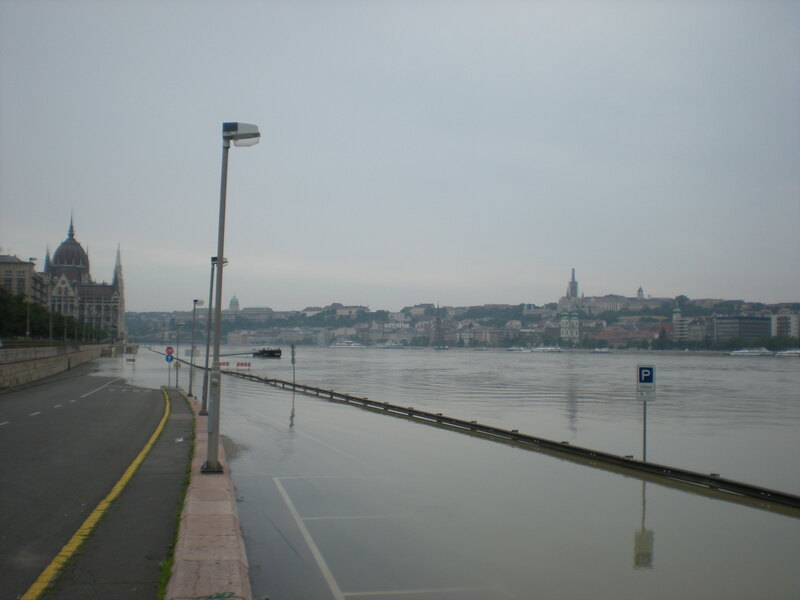 And I think, from what I’ve read, it’s still rising since it is still raining in the Alps. i'm dying. it's coming for my leg. take the pic. take it. ahhh, oh god it touched me. get me out of here. So, we didn’t make him sit there for any longer. Despite the weather and the storms still coming through the city, the way that the river was rocking at the banks was really peaceful. 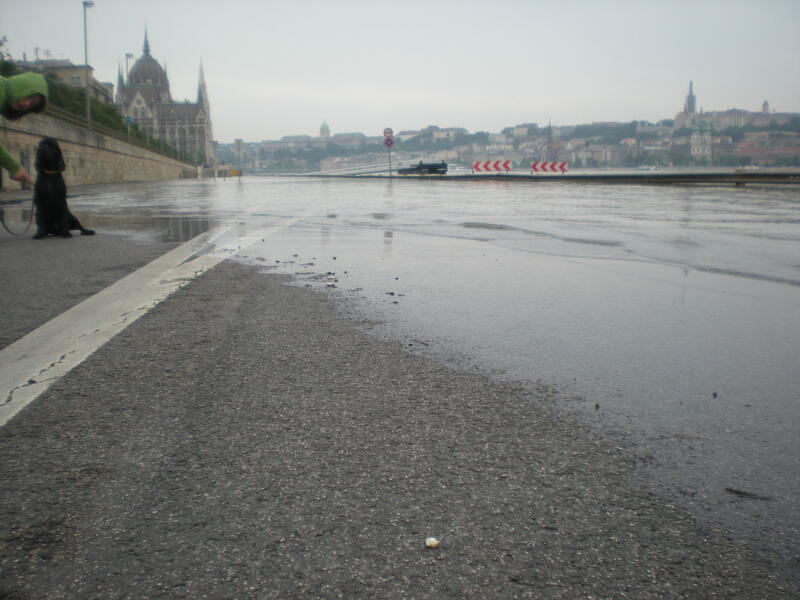 I took a 30 second video to show you what it looked like as the waters were breaking. It’s funny how quiet a big city can seem during these mornings.